The Google Sandbox aka the Sandbox Effect is the term used for a commonly held thought that Google applies a filter to new websites under restrictions for a specific amount of time and prevents them from ranking for competitive keywords. This makes sense because Google does not have sufficient data on new websites. They do not know what the website is about and content is typically limited because the of the freshness of the domain. Although Google will neither confirm nor deny the presence of the sandbox, it is a widely known fact. The time Google keeps a website in sandbox depends on several factors. While it might be considered unfair to stop new websites from getting ranked by artificial means, there exists a fair amount of reasoning why search engines, and most importantly Google, have resorted to this kind of measure. With blackhat methods like bulk link purchase, creating duplicate content or just stuffing the keywords to reach highly trafficked positions in search engines, it really is no real surprise that Google sandboxes new websites whether or not they indulge in black hat practices. Naturally, when a phoney website is indexed and admitted to top ranks, this greatly deteriorates the quality of search results. The sandbox effect works just like a probation period for a new website. After the website is out of this probation, it is given free-will to play in SERP real estate market. Ageing delay and sandbox are similar in meaning and many SEOs use these terms interchangeably. The time Google keeps a website sandboxed varies from case to case. There are instances when two websites were launched on the same day, were indexed within a week but the ageing delay for each of them expired in different months. The sandbox is something outside of our control and at times you cannot avoid it. However, there are steps you can take to minimise the effect. How Can You Tell If Your Website Is in Google’s Sandbox? Now you know what the sandbox is, it is important to determine if your website is actually in Google’s sandbox. It is also important to figure out whether the entire site was dropped from Google or it is just been ranked down for certain keyword phrases. In order to do this, type: “site:www.yourdomain.com.au ” in your browser’s search bar (replace “yourdomain.com” with your site URL). If Google will not return any results then most likely your whole website is dropped by Google. The drop can potentially mean that your website is penalised, sandboxed or has never even been crawled. If Google shows your website in its results but you have been dropped significantly in rankings, then it is likely that your website has been put in the sandbox. While the sandbox will not be something you are able to control, there are specific steps you can take to make it less damaging. You will find people telling both ethical and unethical tricks and tips. Unethical tricks can get you additional penalties or perhaps a complete ban from Google, so think hard before turning to them. Before we explore more details about specific techniques that can be used to reduce the damage done by sandbox, it is essential to clarify the primary rule: you cannot fight the sandbox. The only thing you can do is to adjust to it and patiently wait around for the time to pass. As many webmasters can tell you, any of your attempts to fool Google will only backfire. 1. 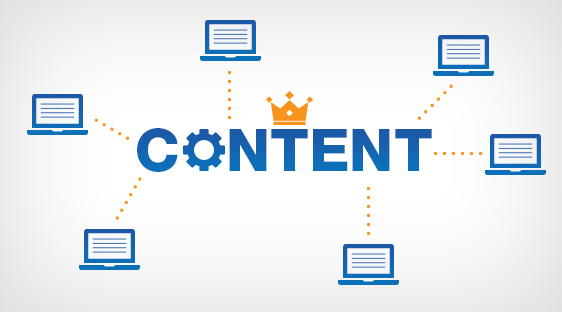 Actively gather content and good links – After all, good content and backlinks can only take you to the top, after your website is out of the sandbox. Make sure that the links you get are from trusted and reputable websites. Links from .edu, and .gov domains can help you a lot. Don’t try to get 5,000 links in a single month if the industry standard says otherwise. Instead, build links slowly and steadily. 2. Plan in advance – In contrast to the general practice of launching a site after it is absolutely complete, why not publish a few blog posts? This will start the time clock and your website might get out of sandbox by the time your posts are published and indexed. It is recommended that you have a content strategy set for your website. Having fresh content lined up is a great way to simultaneously attract natural links as well as thicken the size your site. 3. Use a good host – Newer hosts might want to make more money by indulging into things that are unhealthy for all the websites hosted on the platform. You can also host a website on a subdomain of a well-established host. The sandbox effect is not so severe on new subdomains unless the domain is itself blacklisted. Although you may also use redirects from the subdomain site towards the new one, this practice is questionable and can be considered as an attempt to misguide Google. 4. Focus on long-tail keywords – If you have your website in the sandbox, this does not mean that Google will not index the website at all, in most cases, Google still do crawl websites while been sandboxed. Instead of not ranking for any keywords, try optimising the page for relevant long-tail keywords and then making the switch once the website is properly established. You can certainly top the less popular keywords. And while you wait to have your website ranked on some of the most lucrative keywords, you will find lesser known keywords are enough to keep the ball rolling. 5. Increase your traffic through non-Google methods – Google is not the only real search engine or marketing tool available. Other search engines either have no sandbox at all or they keep the website sandboxed for a relatively short time. While you have your website in the sandbox, you can easily utilise this time in building your rapport with other search engines. Having your website submitted to Bing Webmaster Tools is a great start. Not only can you leverage different search engines for traffic, but also take advantage of email marketing, video marketing and social media. In conclusion, having your website ditched into Google’s Sandbox isn’t the end of the world. There are many other avenues you can invest your time if you suspect your website is in the sandbox. Start with the 5 steps listed above and we’re sure by the time you’re finished your site will be ranking competitively in no time. There’s no doubt that at this time and age, the use of the internet is at its peak. A study by Internet Live indicates that close to 66,000 Google searches are carried out every second! Come to think of these incredible numbers, you’ll realise how far behind competitors you can become if you haven’t implemented your website and Search Engine Optimisation (SEO) as part of your sales and marketing tools and strategy. According to a report by HubSpot, 57% of marketers admit that SEO is way more valuable in generating leads than other marketing strategies. 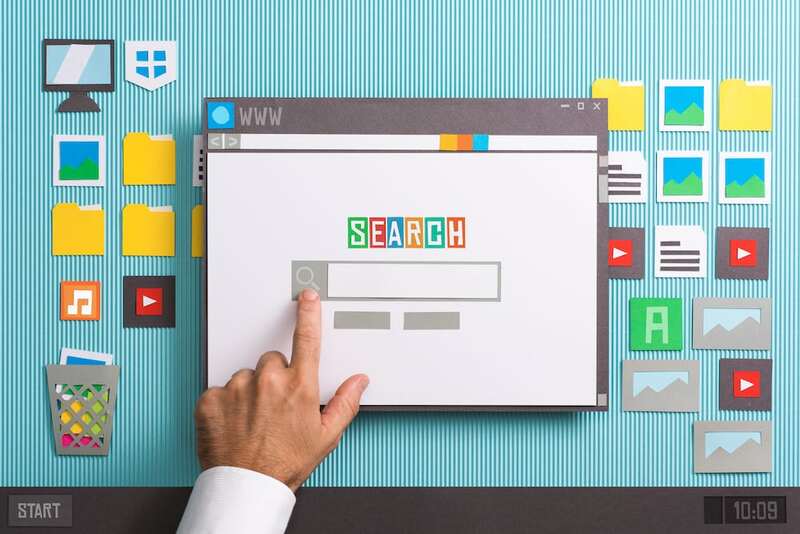 This is perhaps because today’s consumers rely on Google and other search engines to help them find almost everything from clothes to restaurants. With all that said and done, here are 10 reasons why you should definitely include SEO in your digital marketing strategy. Even though branding can be considered a more conventional marketing strategy, SEO falls directly in the digital category of branding. SEO will help you build a brand in the sense that you’ll be able to provide your products and service to a broad spectrum of consumers and also learn about what others say about your brand. In essence, SEO will help you build your brand and establish your target audience. This is perhaps the biggest benefit of using SEO. You won’t have to pay for ad space. Unlike traditional ad platforms such as TV and radio, SEO doesn’t necessarily require you to pay a single dime. All you have to do is invest a significant amount of time and follow proper SEO strategy that can help your site appear at the top of search engines. While the main aim of SEO is to help you improve your website’s ranking in search results, it can also attract more traffic, which can then turn into leads. In simpler terms, SEO will help your website rank higher and attract more potential customers to your business. It is very common for today’s consumers use search engines to find information and products. Directing your target audience directly to your products and services from the search engine will yield a much higher chance of securing a deal. This is crucial considering that a study by HubSpot indicates that 62% of consumers turn to Google or search engines first when they’re looking to learn more about a business, product or service. Again, 41% of consumers will turn to search engines when they’re ready and want to buy a product. Using proper SEO as part of your digital marketing strategy will obviously work towards improving your website’s ranking on search engines. Better still, you will not only improve your rankings but will also stay ahead of your competitors. This is important given that appearing on the first result page will attract about 20.5% of the clicks, while the second result page will attract about 13.32%. The internet has not only changed the way we live our lives but has also changed the way we do business. Using proper SEO efforts such as creating informative and valuable content will help you build trust and credibility with potential clients who will see you as being professional, reliable, authoritative and trustworthy. Another great benefit of incorporating SEO into your digital marketing strategy is that it gives you the possibility of measuring practically every aspect of your results. Instead of looking for the correlation between ads and sales, SEO makes it quite easy to see the results of your investment. You can accurately evaluate your results by using tools such as Google Analytics to monitor various components of your SEO such as conversions, referral sources and traffic. As the leading search engine, Google’s main goal is to always improve the user’s experience. This is why they often come up with various algorithm updates that can help direct users to websites that offer relevant and appropriate information, as well as ideal user experience. With proper SEO aspects such as usability, mobile-friendly and speed, you’ll not only optimise your website but will also continuously improve the user experience. Using SEO will not only improve your rankings but will also boost the overall effectiveness of your other marketing strategies. The incorporation of SEO into your marketing efforts will increase brand awareness and improve traffic by almost 50%. Taking into account that over 70% of searches often lead to clicks, there’s no doubt that implementing SEO into your digital marketing strategy will increase your online visibility, presence and market access. The above-mentioned points are compelling reasons why you should integrate SEO into your digital marketing strategy. Even though SEO has evolved over time, its foundations remain the same and will help you take your business to new heights of online visibility, branding and overall success. If you are seeking to implement SEO in Sydney into your digital marketing strategy, contact us today for a free consultation. We will be happy to discuss all your SEO needs!